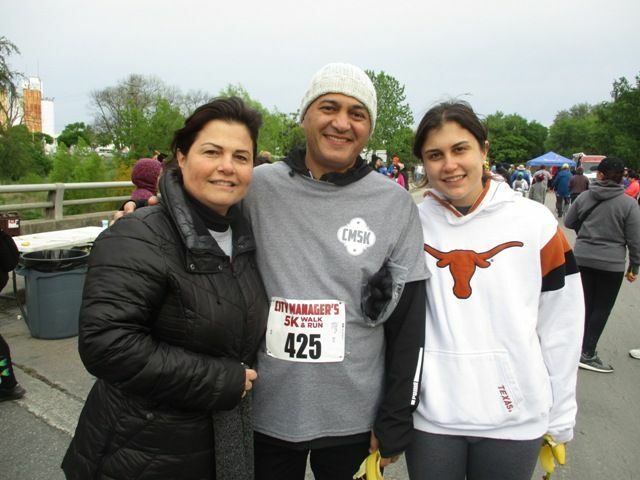 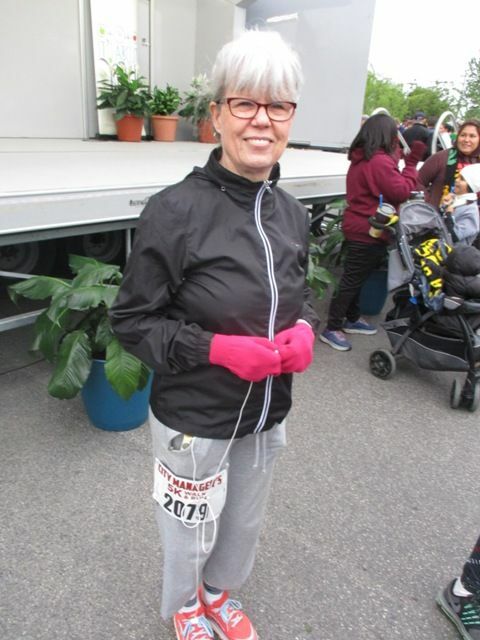 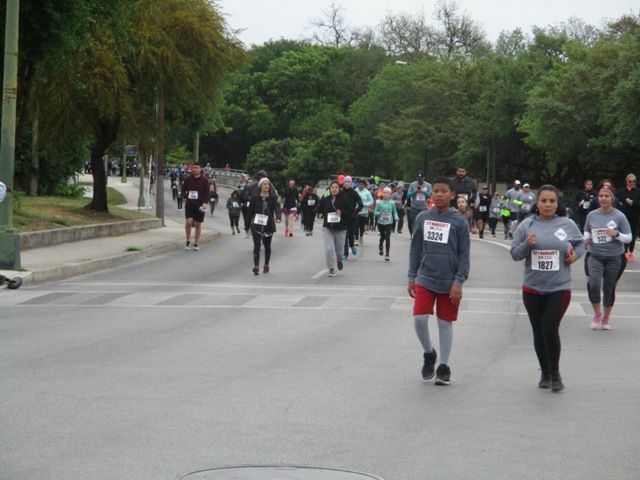 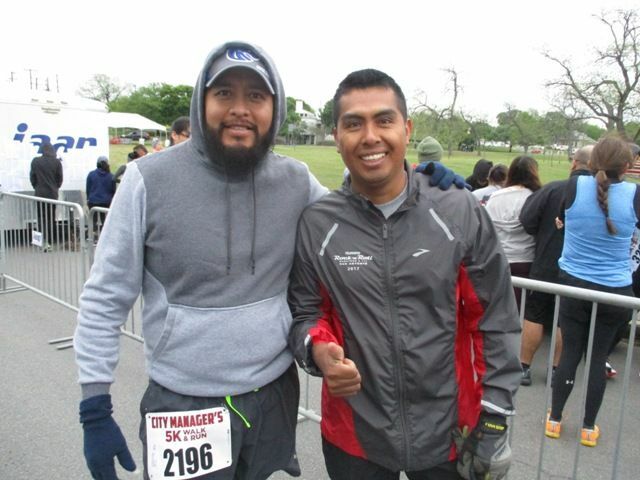 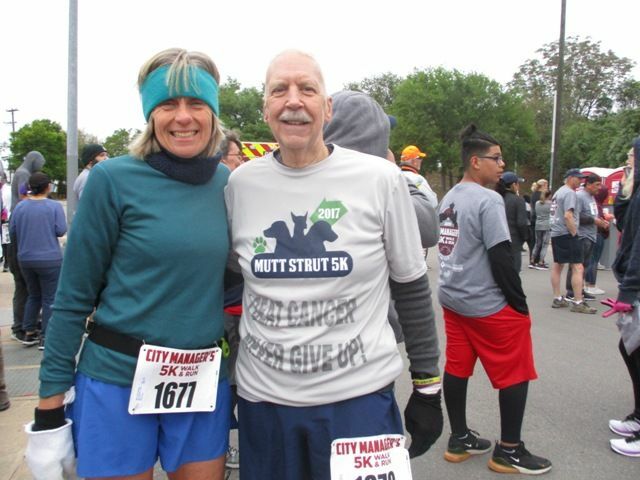 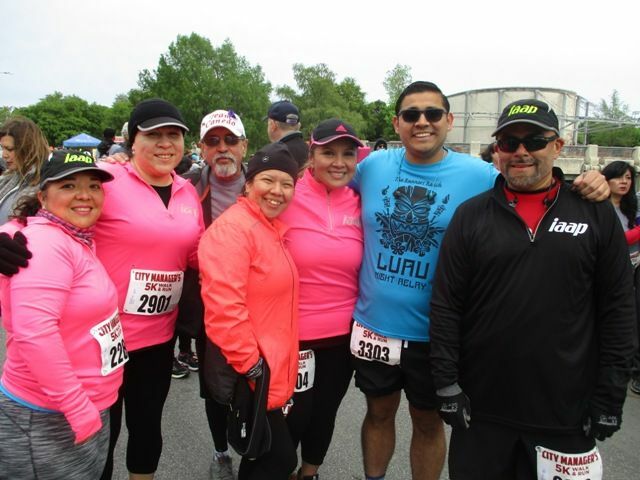 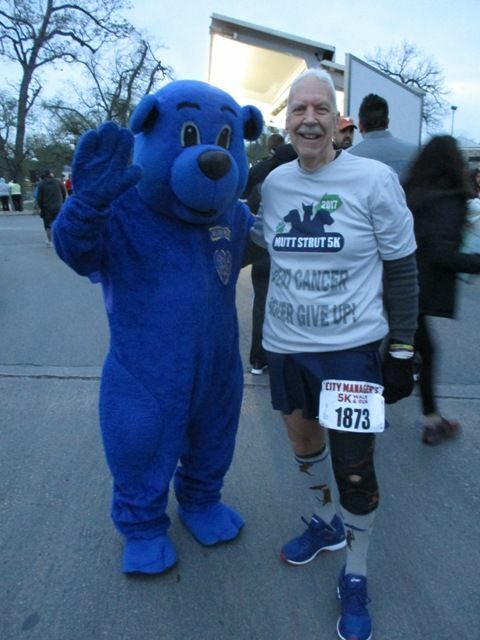 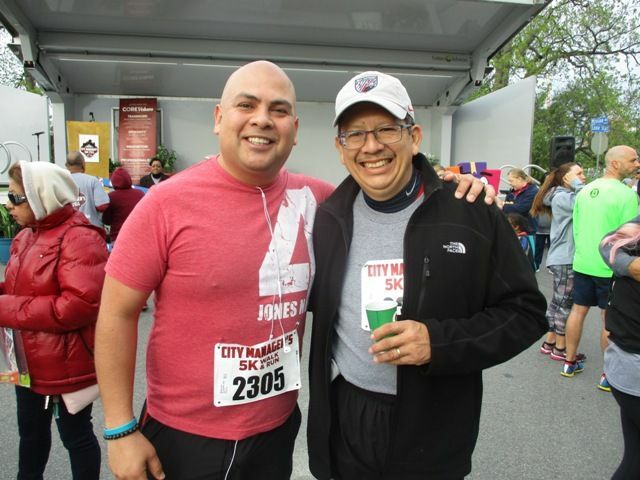 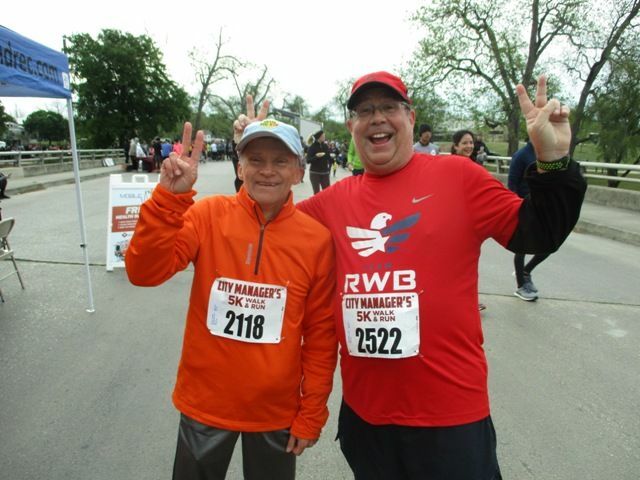 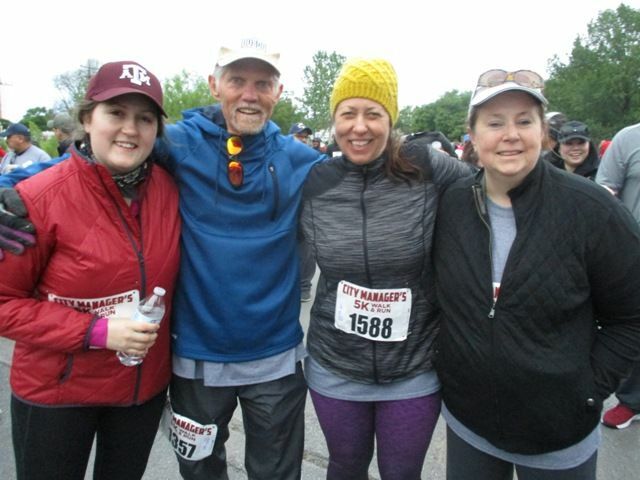 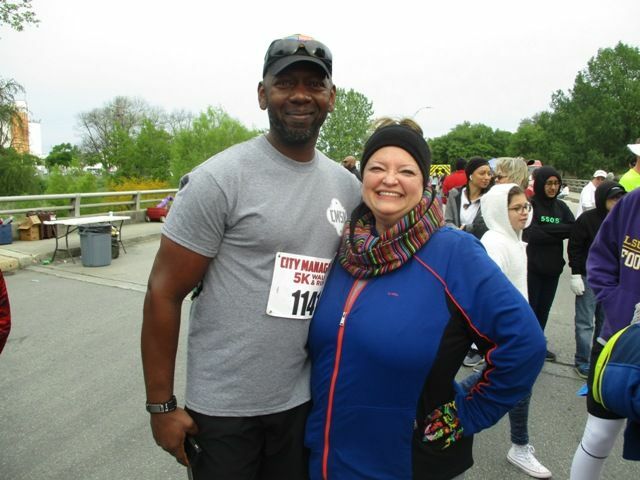 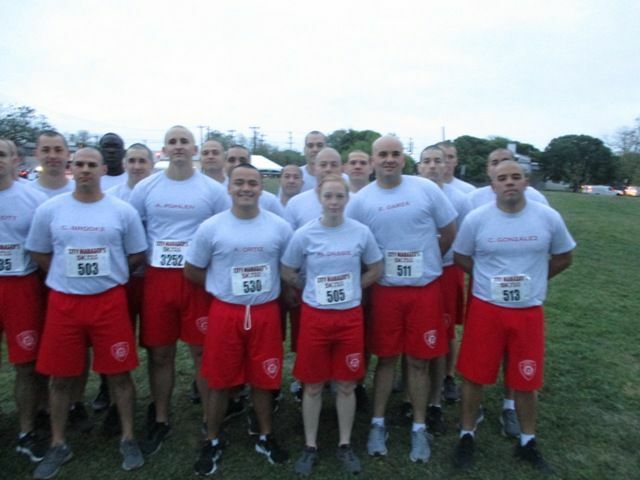 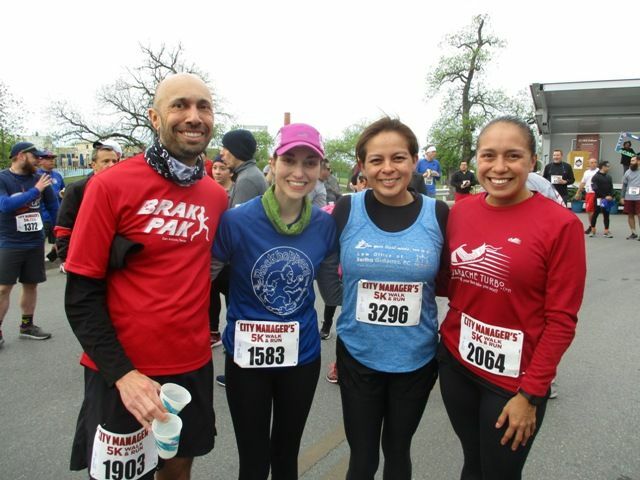 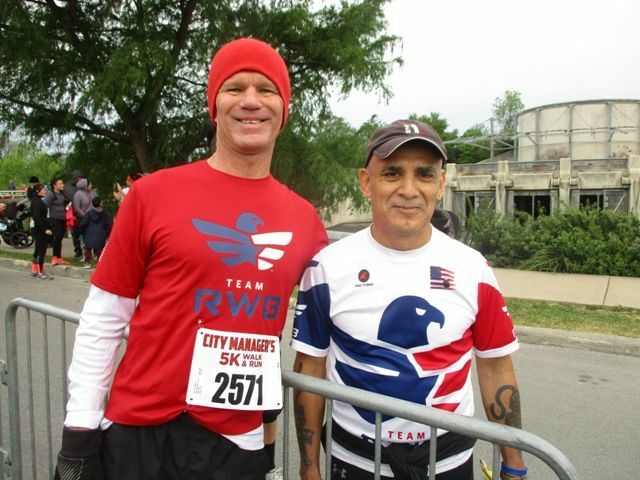 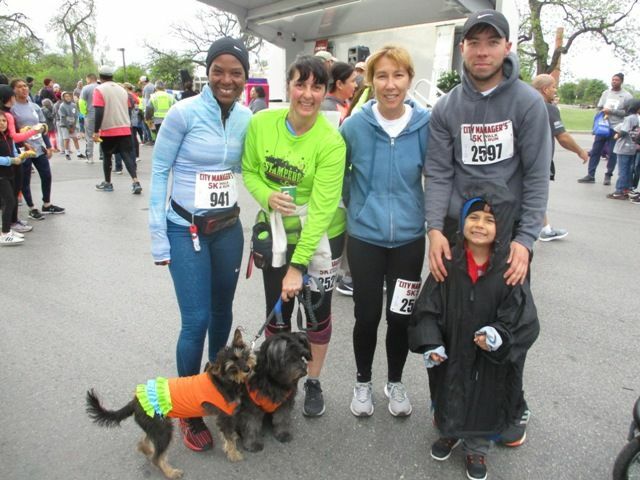 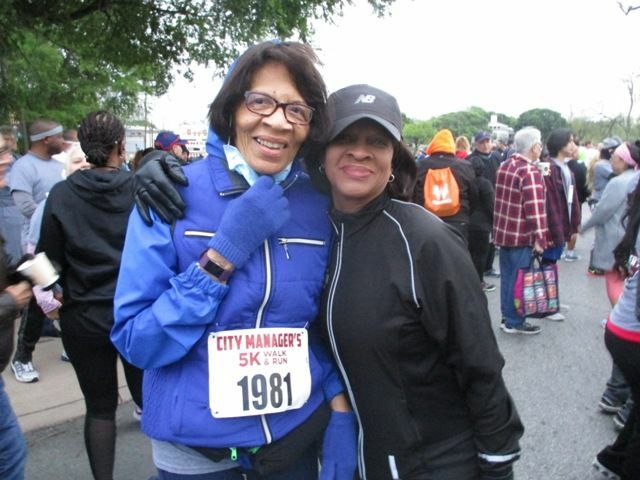 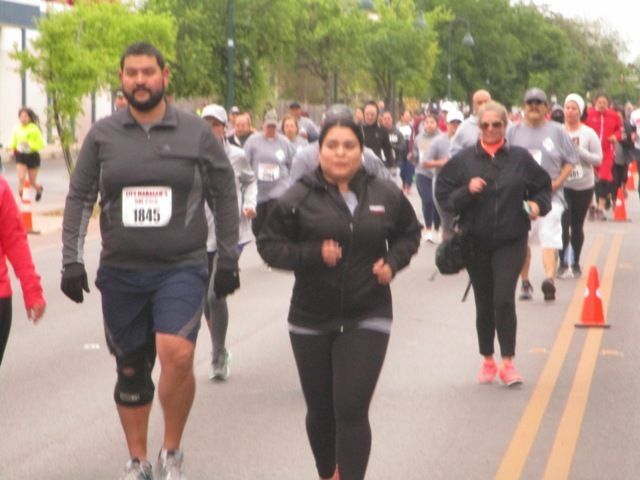 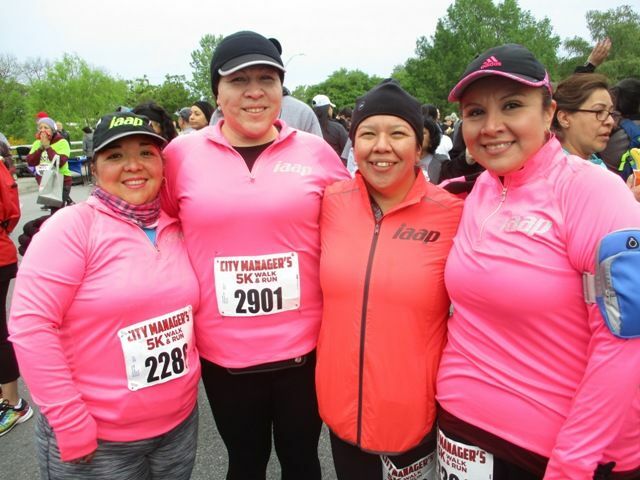 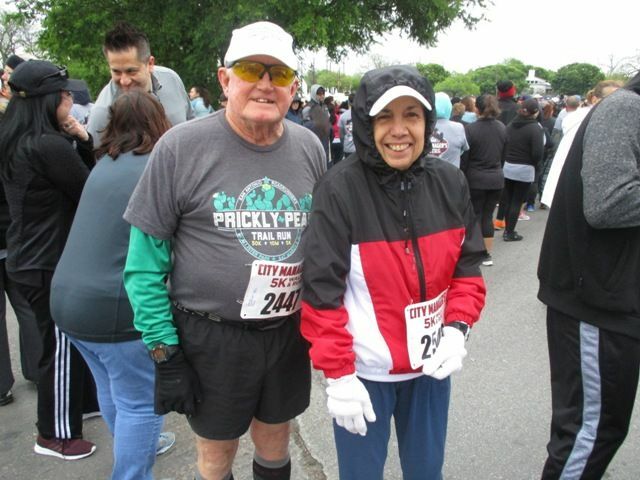 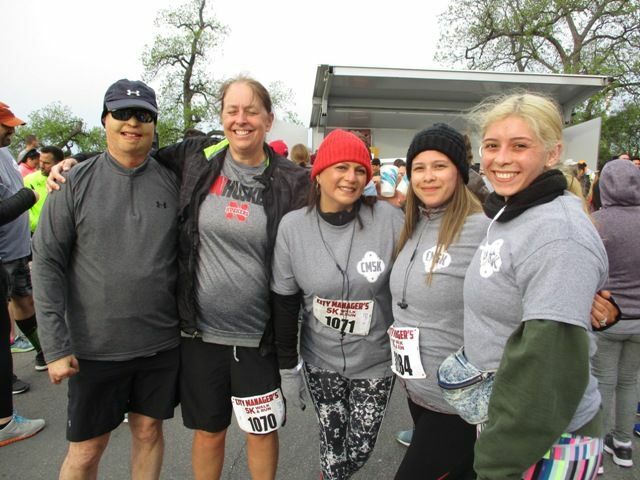 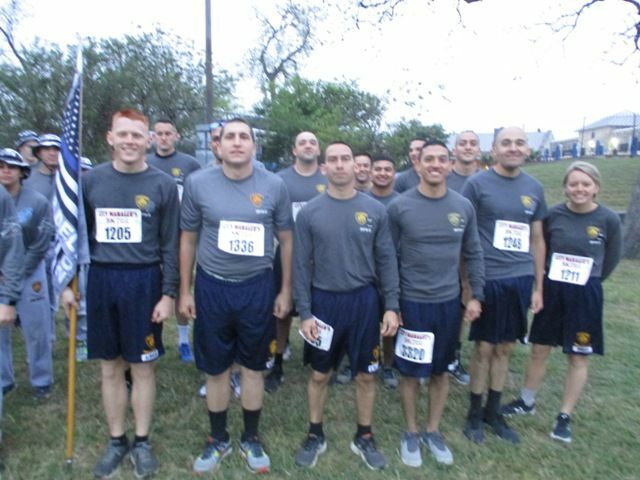 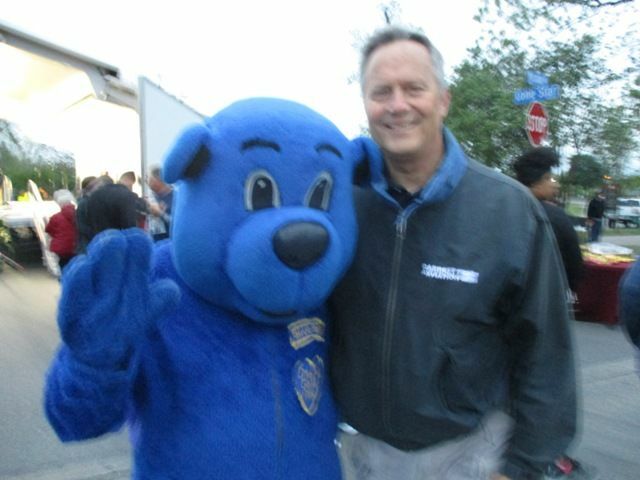 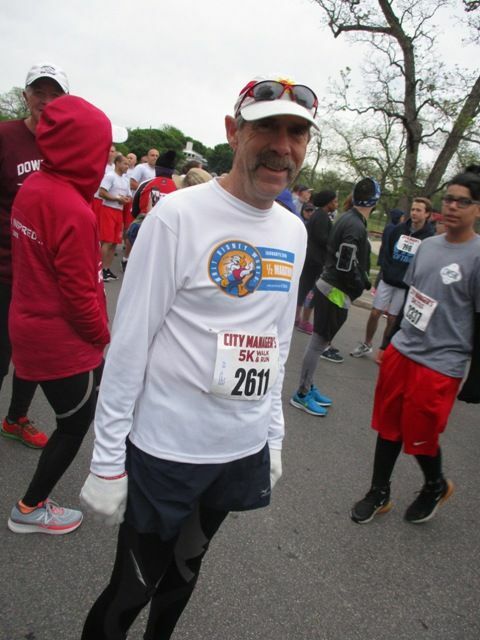 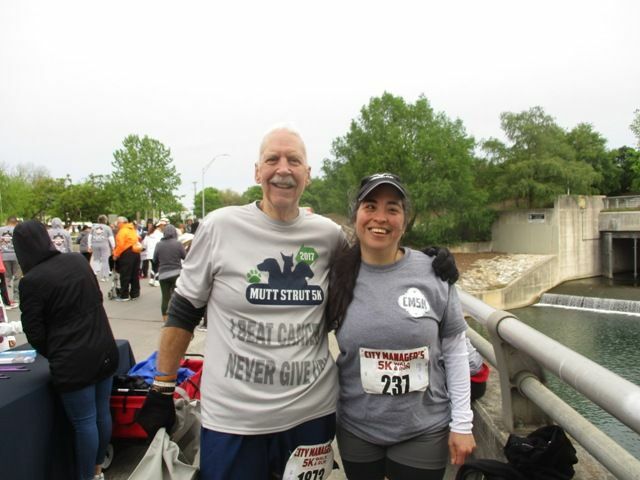 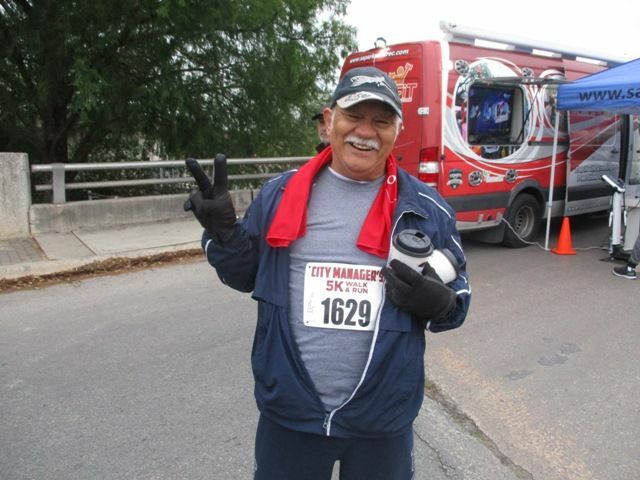 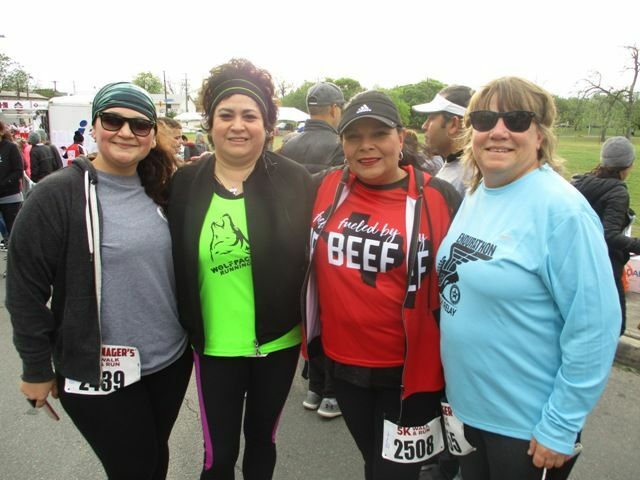 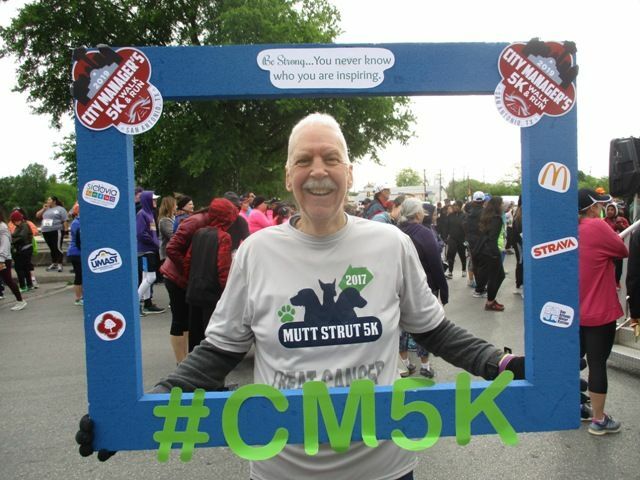 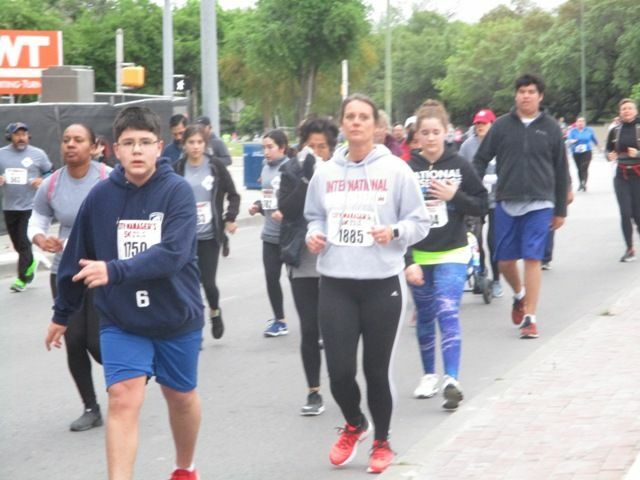 My 19th race of 2019 was the City Manager’s 5K (CM5k) held on March 31 at Roosevelt Park in San Antonio. 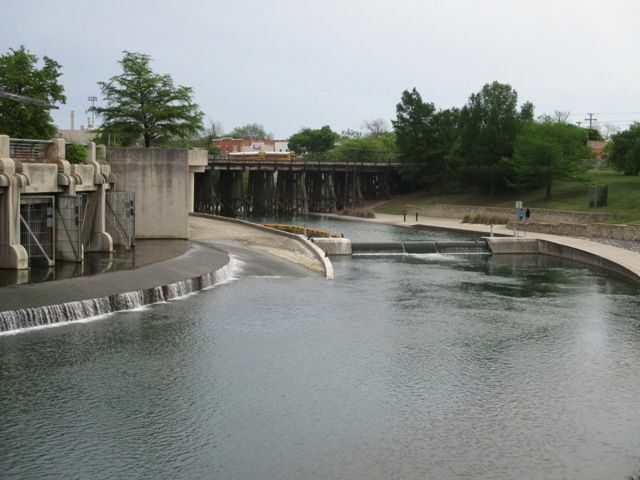 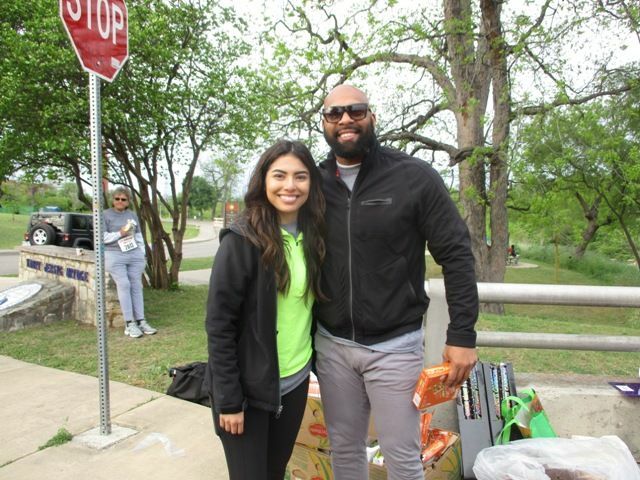 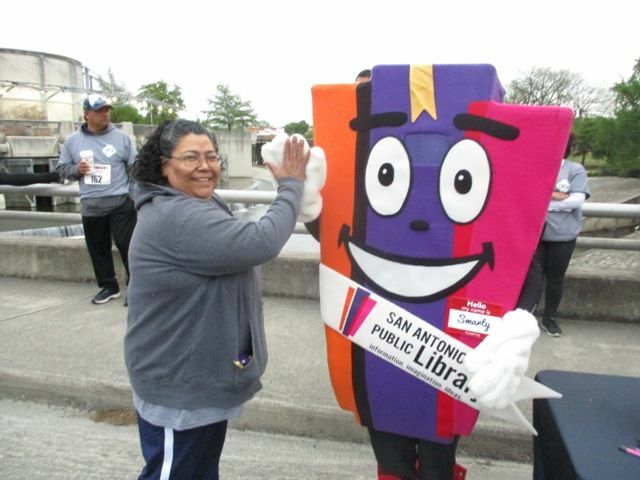 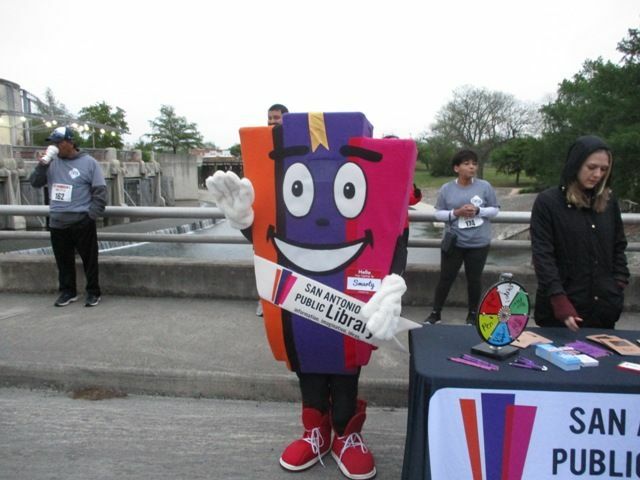 This event started in 20007 to showcase the city’s concentration on increasing an interest in wellness among City of San Antonio employees and their families. 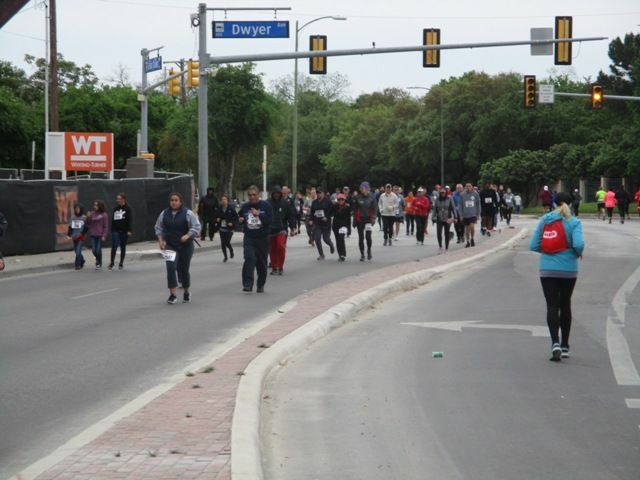 As the 5K grew, it was eventually opened to the entire community. 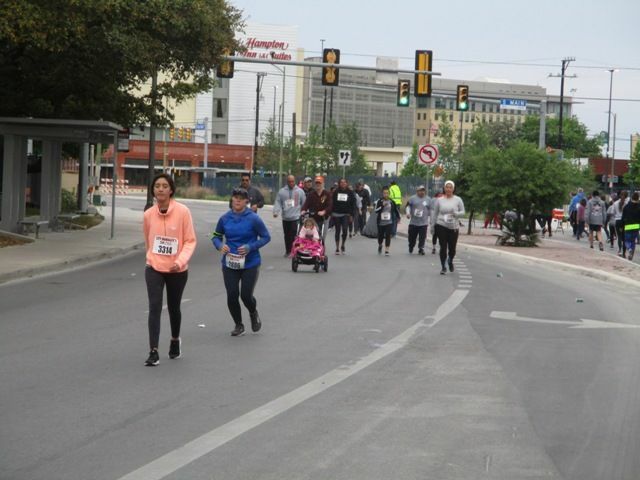 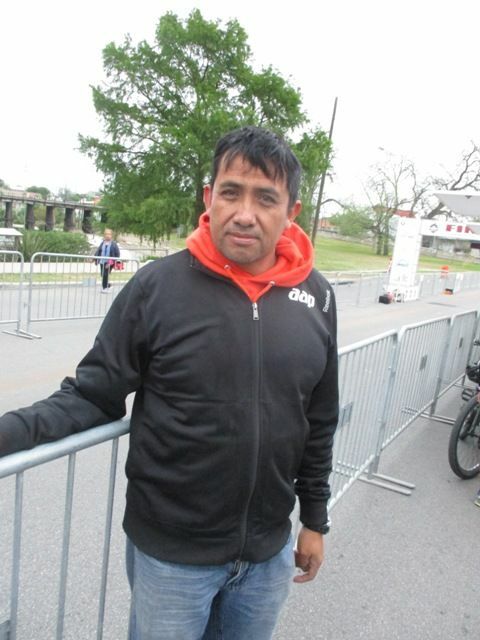 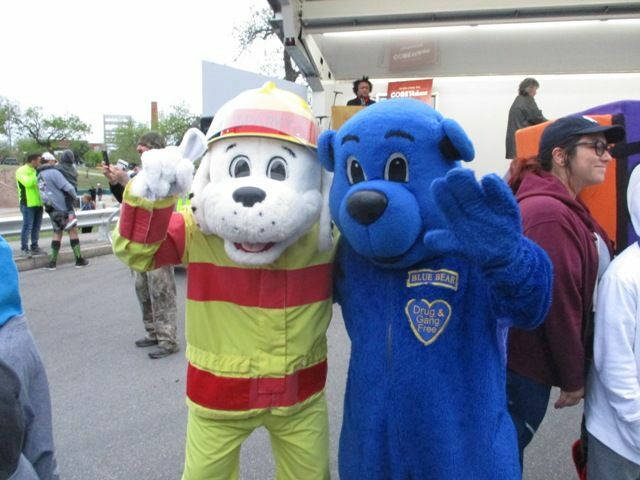 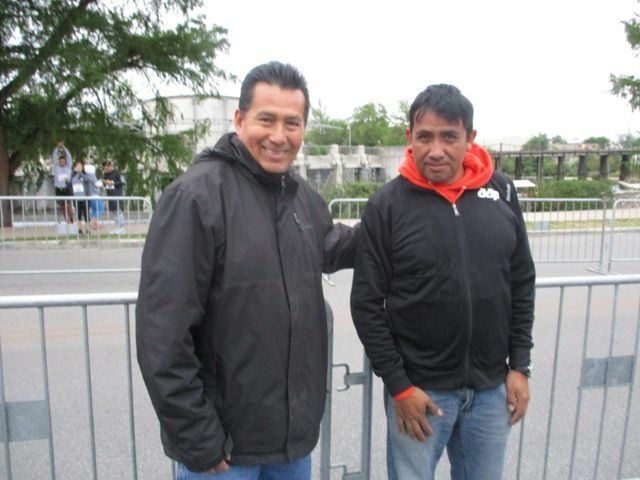 For this year’s 5K, the city partnered with the YMCA and its annual Siclovia event, a free event that turns major city streets into a temporarily car-free safe place for people to run, ride bikes, take exercise classes, and more for about 5 hours. 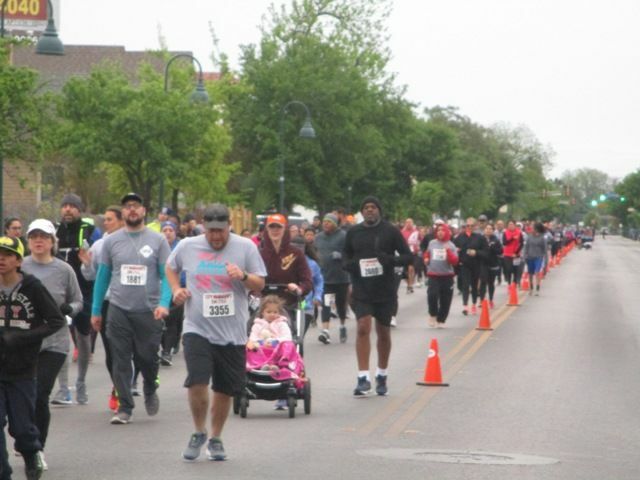 CM5K has become quite a popular event. 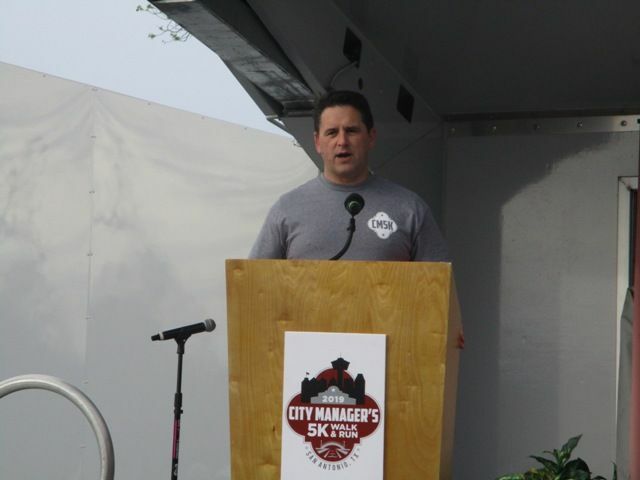 For this year, not sure how many participants there were, but it was well over 2,500, from just looking at the results. 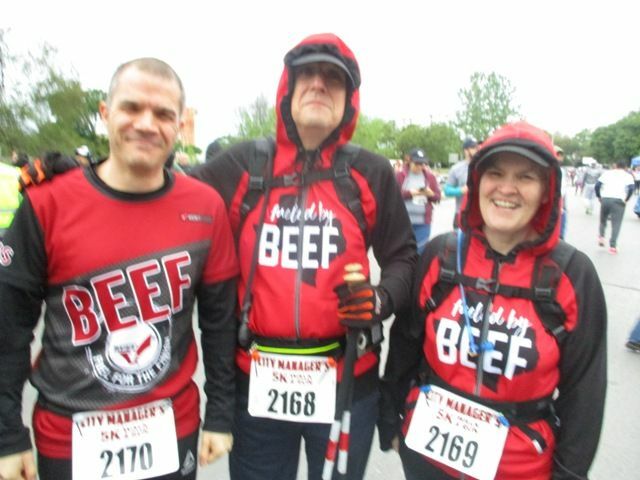 Parking was kind of crazy, so glad I got there early, and glad I had picked up my packet during the week instead of waiting until race day. 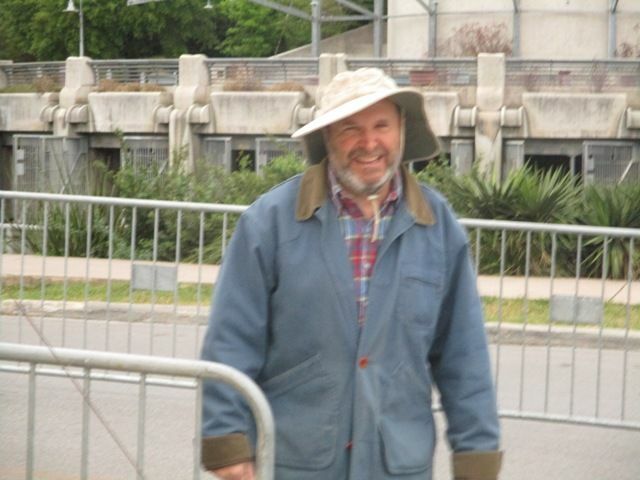 After I finally did get parked, went around the crowded staging area and got a few photos. 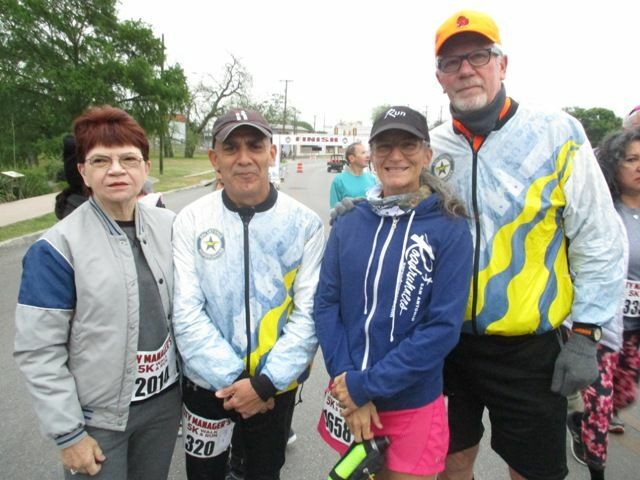 Some of the iaap race management crew that did setup, timing, results, etc. 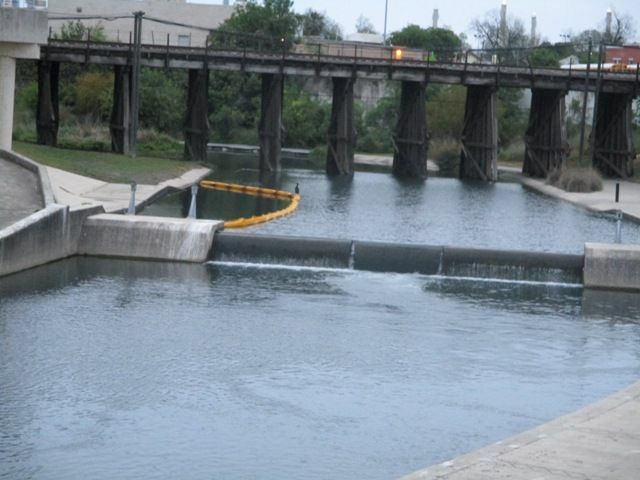 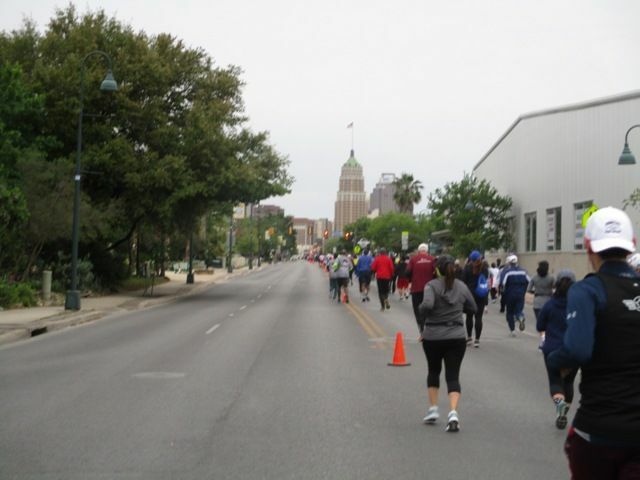 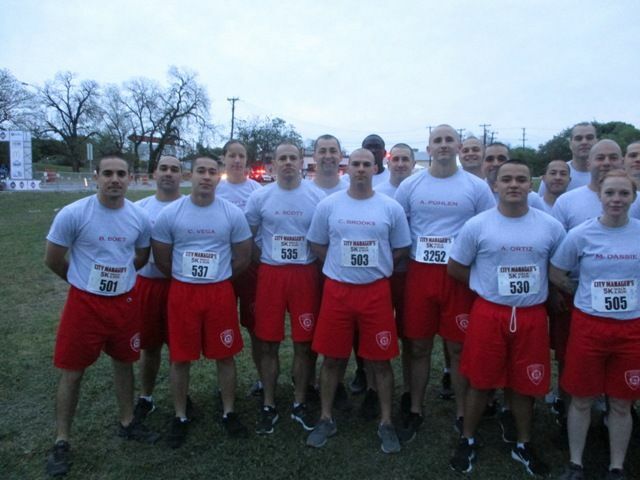 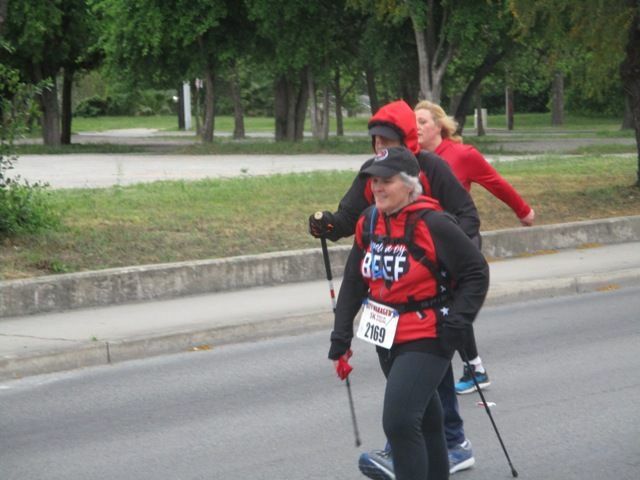 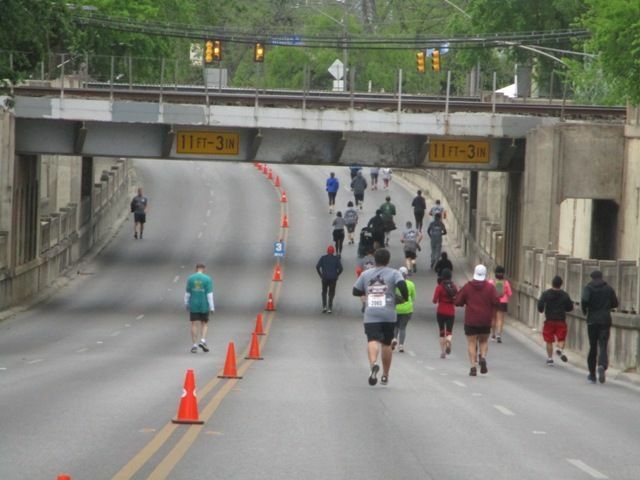 The course was out-and-back, starting from Roosevelt Park and then heading onto St. Mary’s Street in San Antonio. 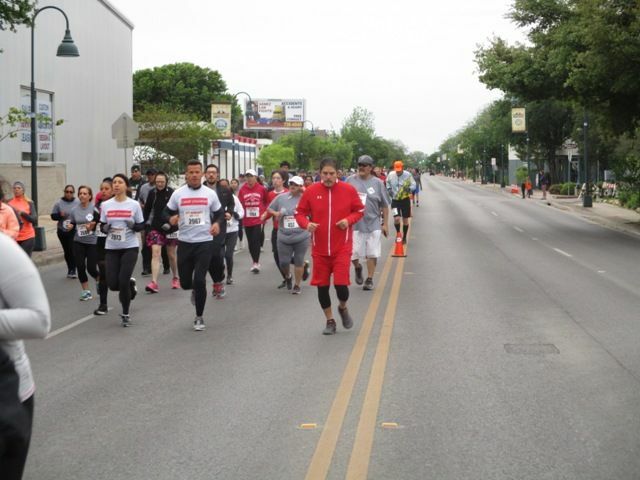 For our turn-round point we made a turn onto Cesar Chavez Boulevard, went down that for about a half mile, then came back up it to St. Mary’s Street and back to the finish the way we had come out. 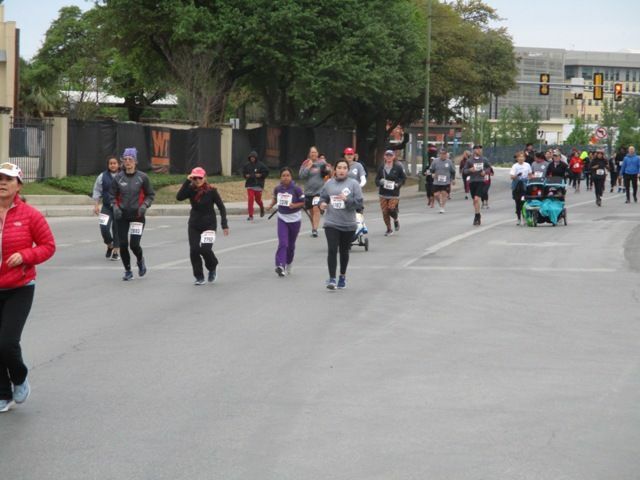 It was a nicely thought-out course that gave the thousands of participants roads wide enough to maneuver around on without feeling crowded. 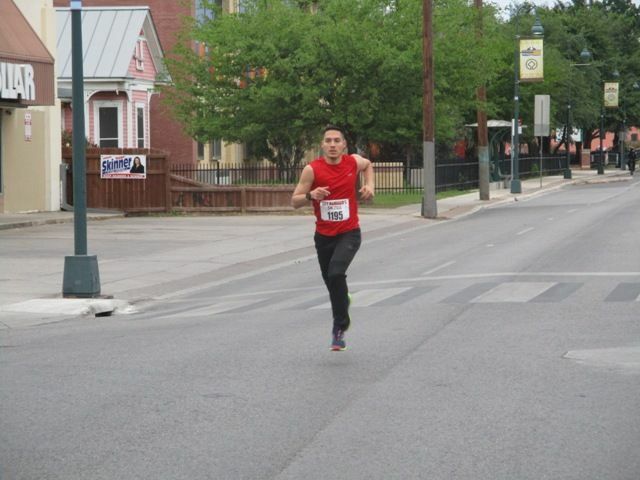 I ended up 7th out of 22 in my age group (60 – 65) with a 34:18 time. 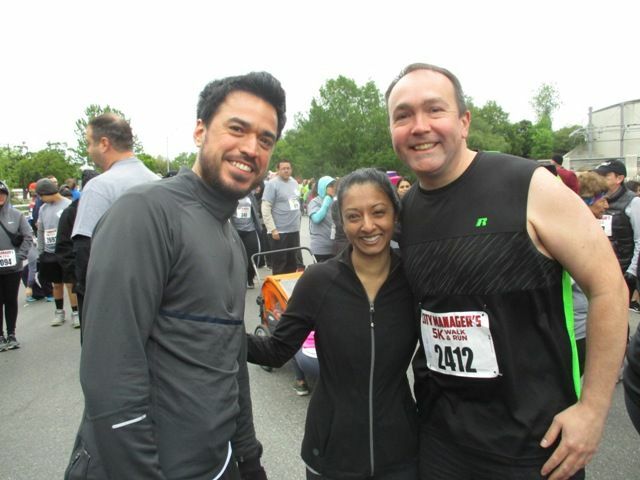 The weather, by the way, was kind of nuts. 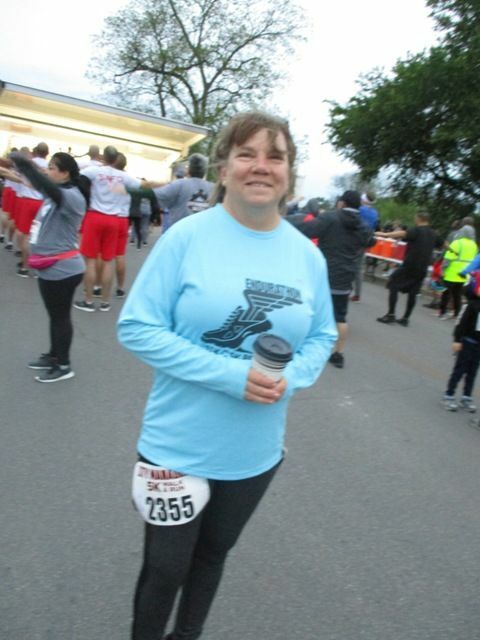 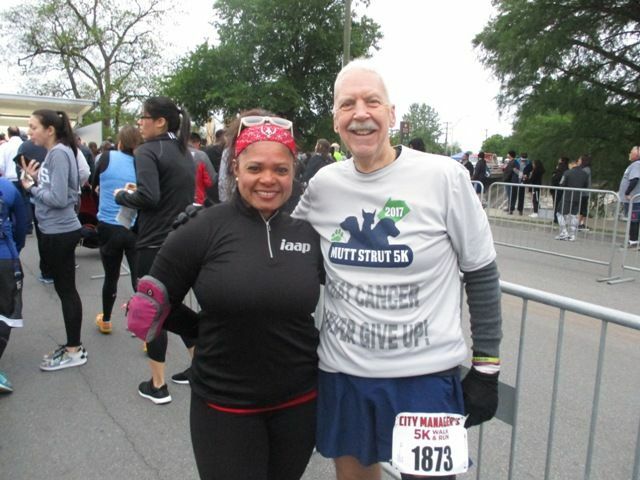 On Saturday (March 30) the 5K I did was warm and humid and I wore a singlet. 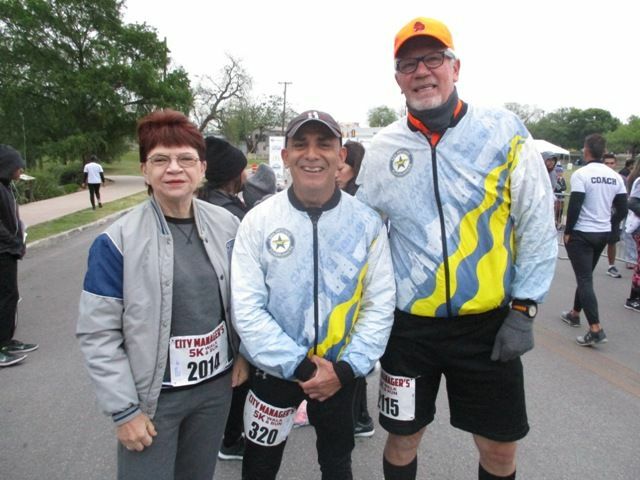 For this one a ‘cold’ front moved in Saturday night and by Sunday morning the wind was blowing pretty good, it was a cool 46 degrees with a ‘feels like of 40’ – that’s cold for we South Texans, lol, especialy when the temp drops 30 degrees overnight – and I wore a short-sleeved running shirt with a base layer. 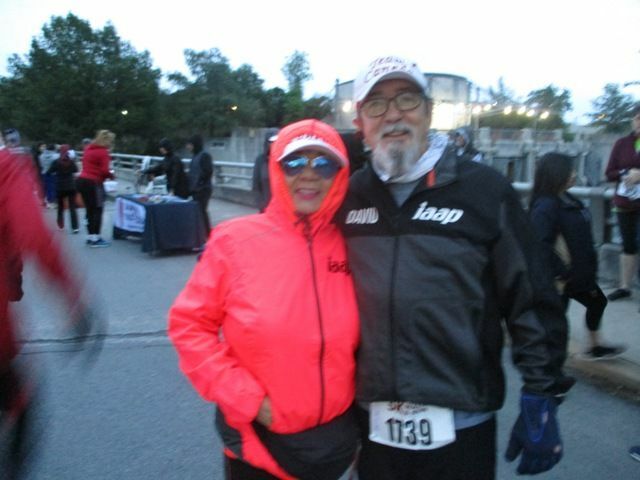 This coming week our temps will hit the 70s again. 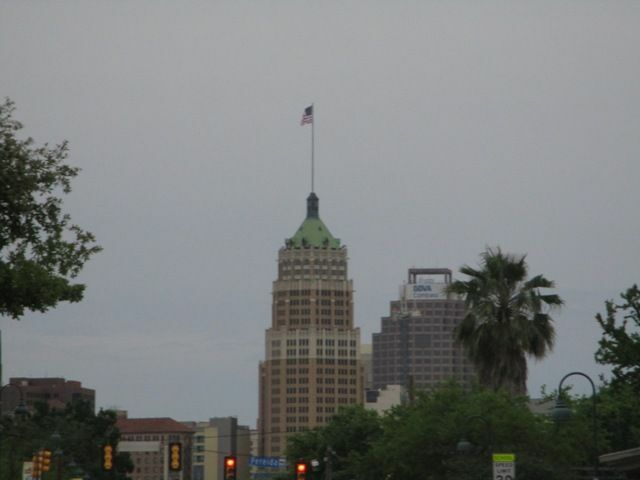 Mother Nature sure likes to ‘see-saw’ our San Antonio weather, lol. 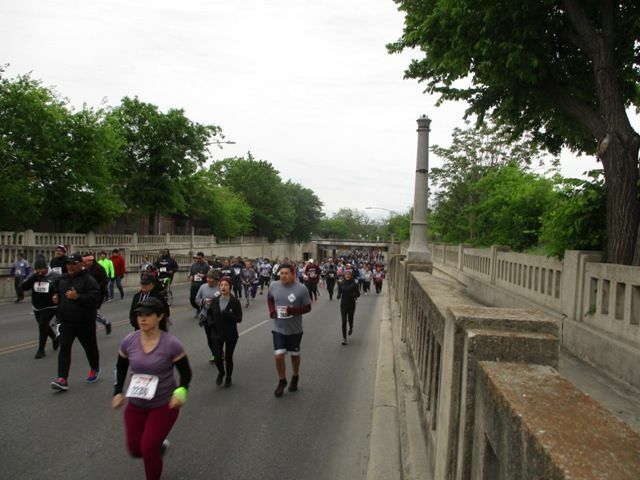 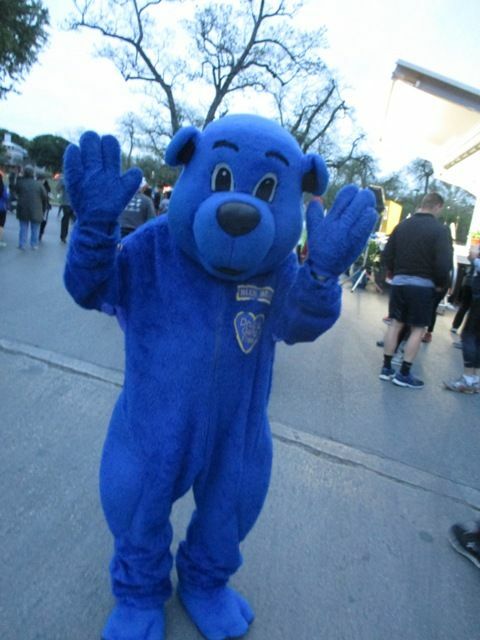 As said, CM5K has become quite a popular city 5K to do and this one was no exception, lots and lots of participants. 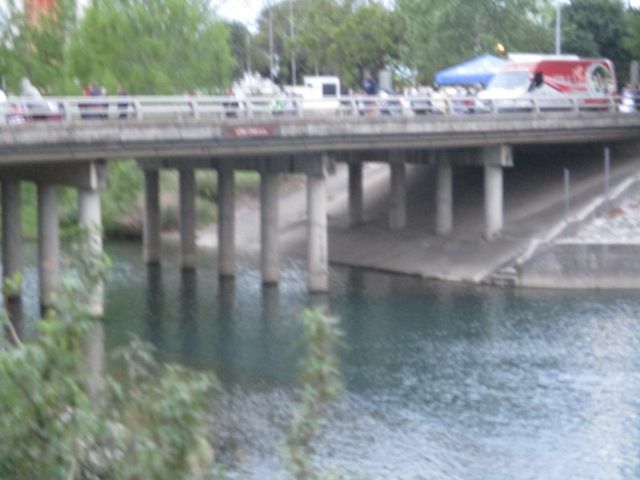 The City planned well for it and from what I saw everything went off without a hitch. 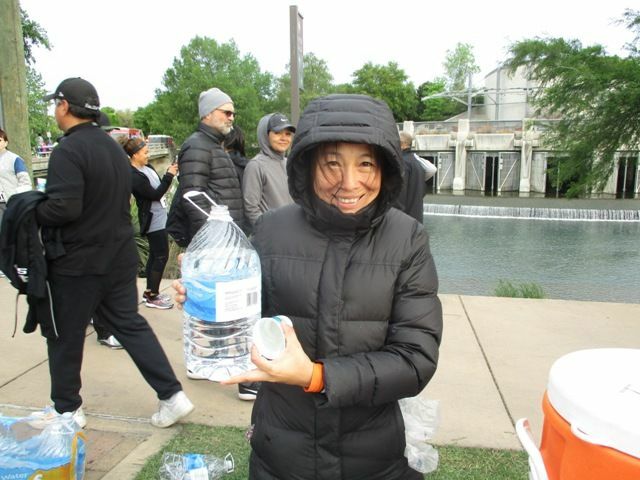 There was not a whole lot of post-race goodies – water was the only drink I saw offered – but some of the race sponsors and vendors there were also offering stuff – various fruits, energy drinks, nutrition bars, and more – so it was all good. 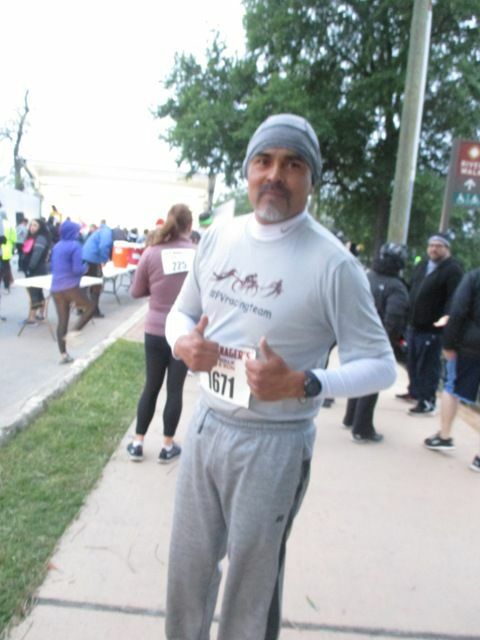 Results were done pretty quickly, thanks to the efficiency of local race management company iaap; they are an ‘old hand’ at this and know how to get it done. 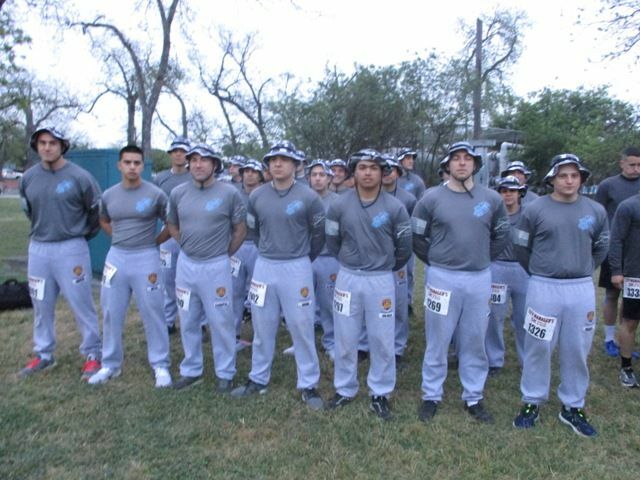 Awards, for those who got them, were pretty nice. 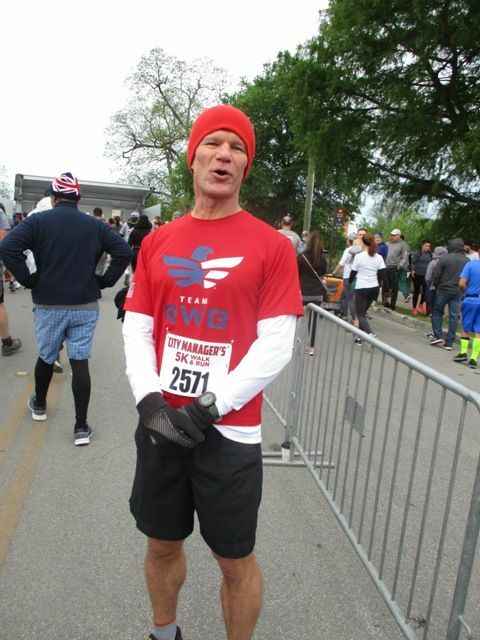 Nice quality race tee also. 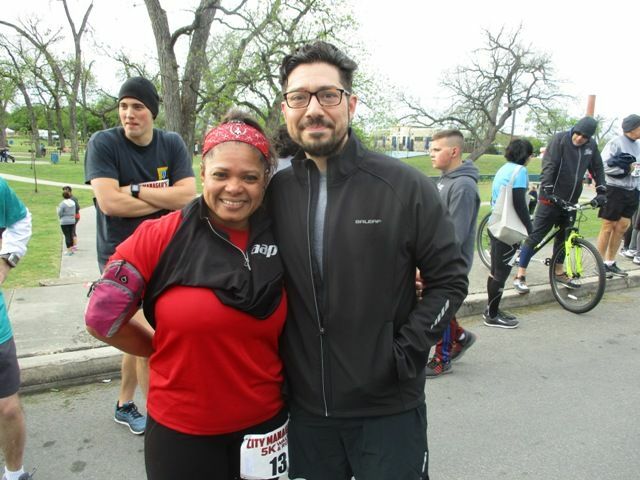 Very nice course, and with an out-and-back, it was fun to see and encourage and cheer on friends as we passed by each other. 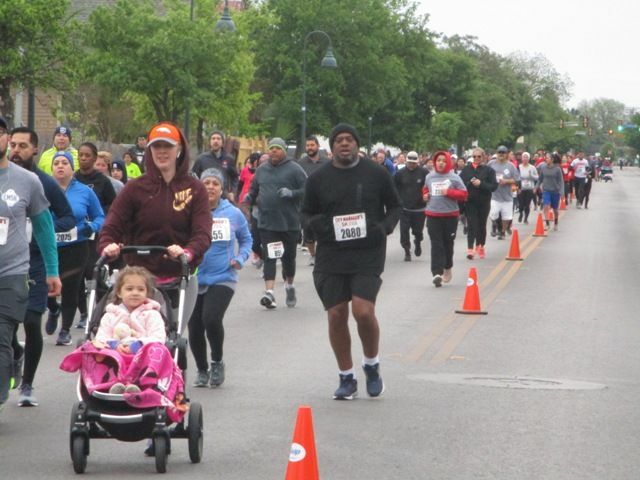 I’ve done this event in the past and it’s only gotten better as the years have gone along. 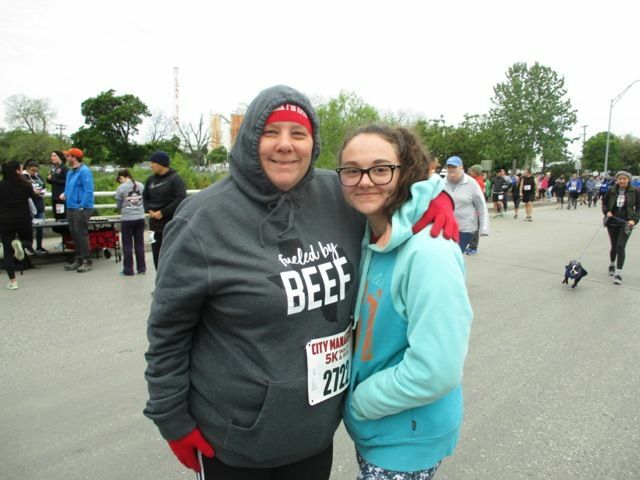 Definitely will do this one again and would recommend it. 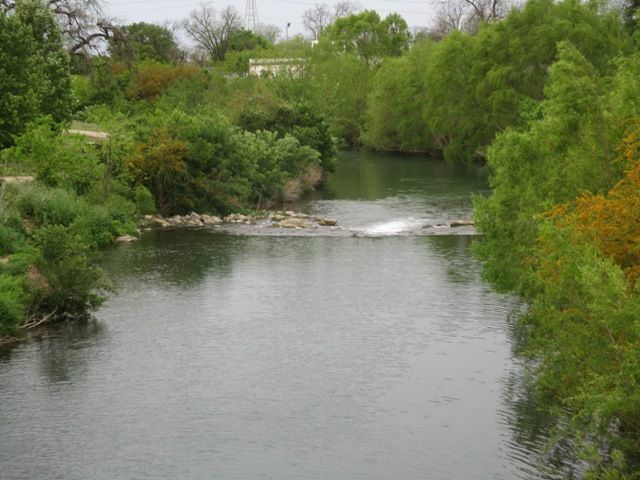 Your spring weather sounds a lot like ours, 75, 50, rinse, repeat. 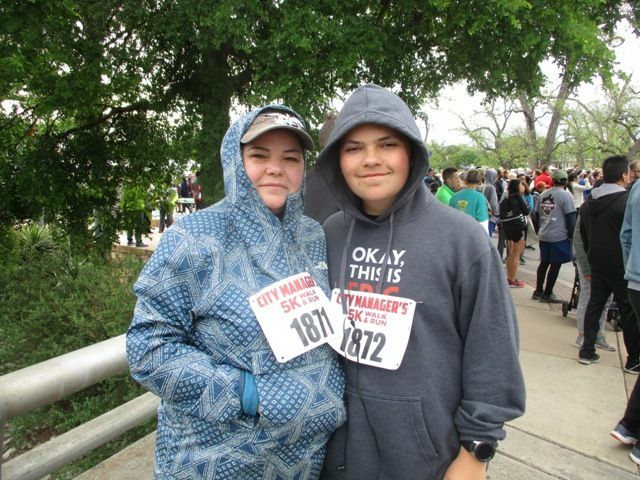 I was wondering what the weather was since a lot of people look cold in the pre-race pictures.